The Jetbook Color, Ectaco's 9.7" color E-ink ereader, will never be my favorite device. The screen is disappointingly gray, the JBC is expensive, and it is both slower and less capable than the similarly priced iPad. But today I was reminded in particular why i don't like this ereader: Ectaco shipped it with a far from complete firmware. Actually, that's not so bad; the real issue is the update process. I know it's common now for everyone to ship an incomplete device with the goal of pushing out a firmware update, but Ectaco takes the cake. Ectaco doesn't send out little updates that replace a file here and there; no, the updates come out as a single BIN file that contains all the apps running on the Jetbook Color. I'm not talking about a file that is 100MB or 200MB; the latest update is 1.5 GB, and no that is not a typo. Apparently Ectaco's development process doesn't allow for partial updates, so instead they have to send out a complete set of files each time they offer an update. And since I don't have the fastest internet connection at home, it can take me an hour or more to download. Now I remember why I left the JBC in the closet for the past several months rather than write about the changes; it's not worth the aggravation. It's almost like I'm being punished for being an early adopter. Not only do I get stuck with a marginally functional device; I also have to waste my time doing the job of Ectaco's techs each time I install the update. And to add insult to injury, Ectaco has been rolling out monthly updates ever since the JBC launched. Not all were the size of the current update, but I recall that at least one other early update was over a GB in size. If anything, I suppose I've been spoiled by Android tablets and the iPad. With the former, I never expected to get an update so I am grateful for whatever I can get. And with the latter, Apple has always made sure to send out a polished device and keep updates to a minimum. Then again, I don't see why i shouldn't be bothered by an incomplete device; it's not like I'm buying it on the installment plan, or even paying for optional upgrades. I'm paying for a finished product, and I really would expect it to be finished before it comes out of the factory. But the problem is you are applying mass market rulles to a hobbyist product. The JBC, like the pre-Kindle ebook readers are aimed at people that want the product and its promised features badly enough to put up with the Firmware of the Month club. I went through the same thing with my BeBook; it was the only eink reader to promise LIT format support at the time (and since). It delivered just enough of the capability to keep me hooked, waiting for a fix to its crippling bugs for six months. Eventually it became clear that the company had bit off more than they could chew and the fix was never coming so I flashed the reader with OpenInkpot and passed it on to my sister and moved on to a better-supported device. Except it’s not supposed to be a hobbyist device. The target market is schools. Have any schools bought into that? I’m betting their sales are going to wishful thinking early adopters. I’ve been told that some schools have bought JBC, but that guy was pumping me for information so I’m not sure it’s true. It’s not absolutely impossible that a school here or there might’ve bought a test unit. 100 students in 3 biology classes got to *test* the readers. I read that as: they brought a dozen units to the school and let them play with them for a while. 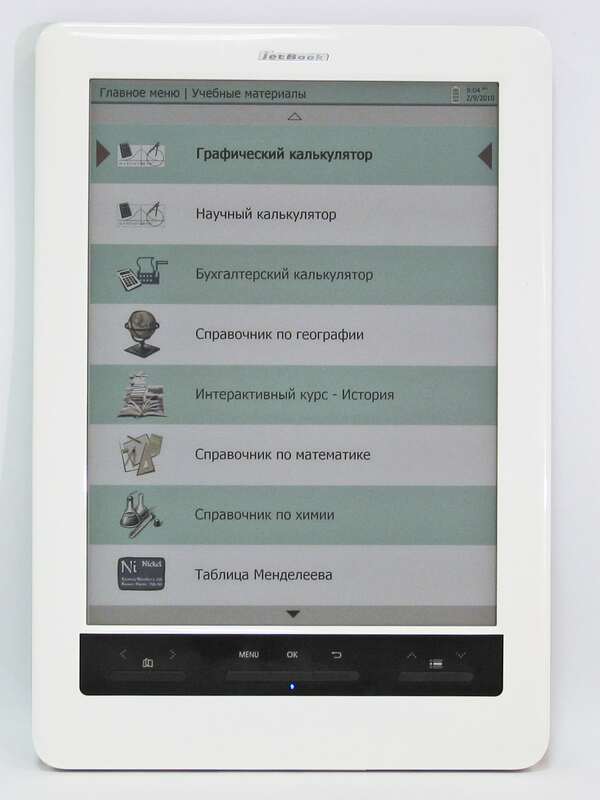 The time when companies, big or small, could foist off betaware on the US ebook reader market is pretty much over. While I agree with the comments on the whole, let’s not forget that there existed pretty good e-ink e-book readers out there before Amazon swept the market with the technological equivalent of a steaming turd: the Kindle. Way back in 2006 Sony introduced the PRS-500, and it was very succesful (prompting other companies like Amazon and B&N to give it a go); and even before that there was the Sony Librié, which actually was more close to the hobbyst gadget than any other device of it’s kind ever since. The Sony Reader didn’t prompt Amazon to develop the Kindle. Amazon started working towards the Kindle ebookstore way back in 2004. They bought Mobipocket in 2005, and started work on the Kindle hardware at about that same time.